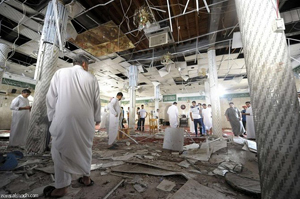 Three days ago, a suicide attack was carried out during the Friday prayer at a mosque in the village of Al-Qadeeh in eastern Saudi Arabia. In the dastardly attack, 21 worshippers lost their lives and 100 sustained injuries. Al-Qadeeh is situated in the Kingdom’s Qatif city. Shortly after the incident, the self-proclaimed Islamic State (IS) claimed responsibility for the attack. It would be pertinent to mention here that Al-Qadeeh is a predominantly Shiite area. It does not need very high IQ to understand that the attack was a dirty tactic to stoke sectarian tensions in the Kingdom. The terrorists are making efforts to drag the Saudi society into a mindless and endless cycle of violence by trying to drive a wedge between Sunnis and Shiites. Fortunately, majority of the Saudis have already said no to sectarianism thus foiling attempts of the deviant elements. It is so sad to see innocent, simple and hardworking people losing their lives due to the madness of a handful of people hell bent on imposing their deviant ideology on others. It bleeds my heart to read about children who become victims of these attacks. Children are not even aware of what is happening around them. In the Qatif attack, some of those who died were Saudi Aramco employees. One of the dead includes an official of the Saudi Civil Defense, which is part of the Ministry of Interior. The barbaric attack should not be perceived as against only the Shiites in Saudi Arabia. As a matter of fact, it is aimed against all Saudis. Saudis belonging to all segments of society condemn the attack and vehemently oppose the nonsense ideology of the attackers. We fully realize the true purpose of such attacks. Saudi will never allow anybody to divide their society along sectarian lines. Let us talk about the beautiful city, Qatif, and its lovely people. During my entire life I have had the opportunity to befriend and deal with people from Qatif. Due to my professional responsibilities, I had been a frequent visitor to this part of the Kingdom. People from these areas are very hardworking and dedicated and are considered one of the most innovative in the field of volunteer work. 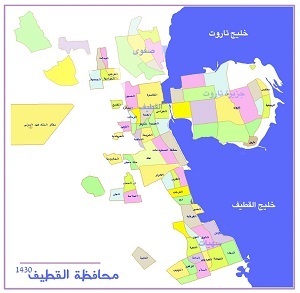 Qatif is considered one of the oldest inhibited areas and has very rich history. The land is very fertile thus farming has always remained popular among the people of this city. In addition to this, it is also considered an important fishing hub in the Gulf region. Before the discovery of oil, people in Qatif did not only rely on farming or fishing, but many worked as merchants and used to travel to faraway places for trade. After the discovery of oil, a large number of youth got engaged with the oil sector. As we know, one of the most important oil fields in the Kingdom is named after the city of Qatif. It was discovered in 1948 and has a capacity to produce more than half-a-million barrels per day. Since the establishment of the modern-day Saudi Arabia, Qatif and its surrounding villages have contributed to the progress of the country through its highly educated and talented young men and women. Many of them held and still hold top government and military posts. Many of them are holding top positions in the private industrial sector in the Kingdom such as Saudi Aramco and SABIC. Banking is a field in which many young men and women from Qatif have proved their mettle. The people of Qatif enjoy the love and respect of all the people in the Kingdom. Thus, it would be impossible for the IS or any other terrorist outfit or country to drive a wedge between Saudis. Sunnis or Shiites in the Kingdom are citizens enjoying equal rights and opportunities. Unity among Saudis will serve as a solid wall against any outside interference. This latest terrorist act is a cowardly and desperate act. They failed in the past and they failed today. Saudi Sunnis and Shiites stand united.